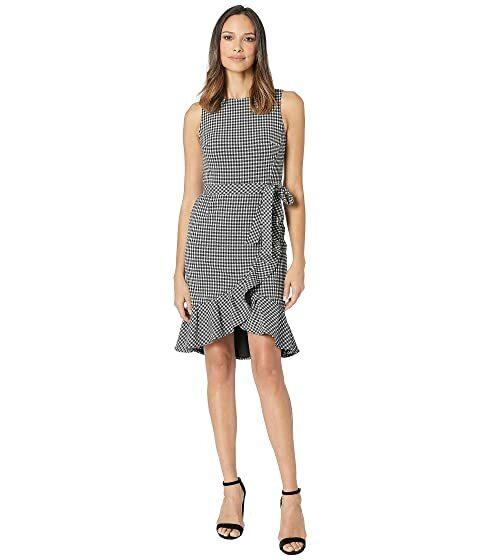 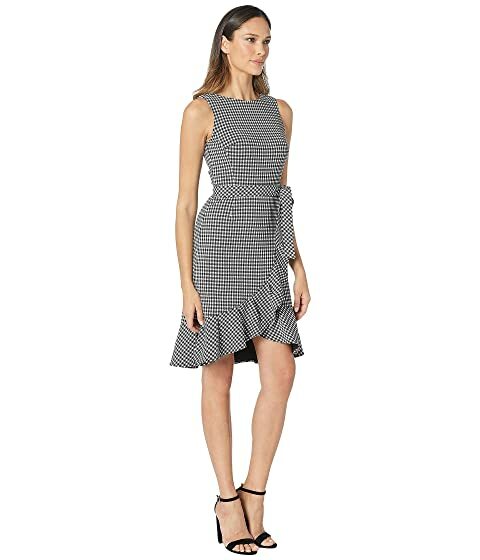 Make a bold statement in this Calvin Klein® Gingham Ruffle Hem Dress with Self Tie. 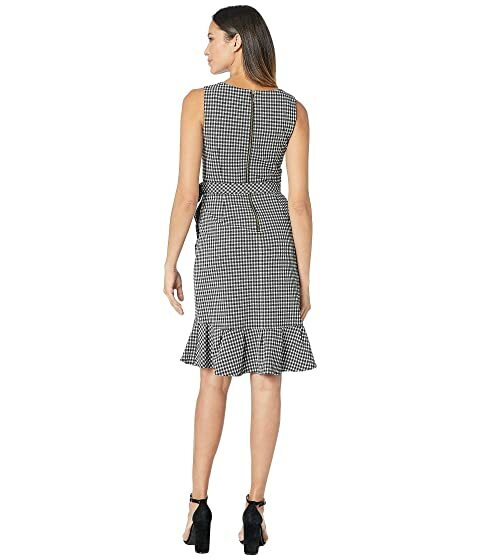 Gingham print on a stretch-poly fabrication. Belt-loops and matching self-ties at waist. 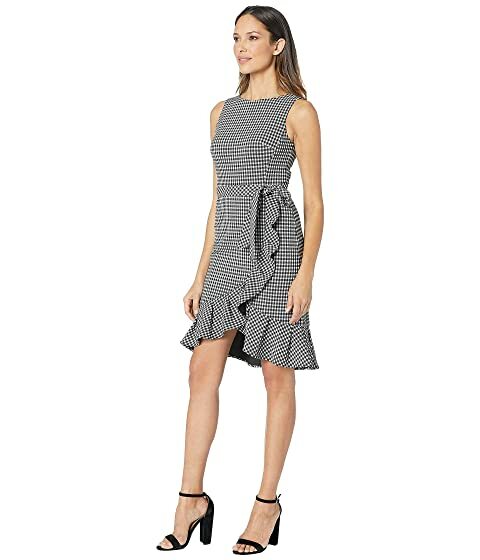 Fluttered hemline falls above the knees.